Photodynamic therapy or PDT is a unique treatment for cancer. It involves giving a 'smart' drug that accumulates in cancer cells. This drug is activated inside the cancer cell by light and the cancer cell dies. Since normal cells do not absorb the drug and the 'dose' of light is restricted to the tumor, there is little damage to surrounding areas. 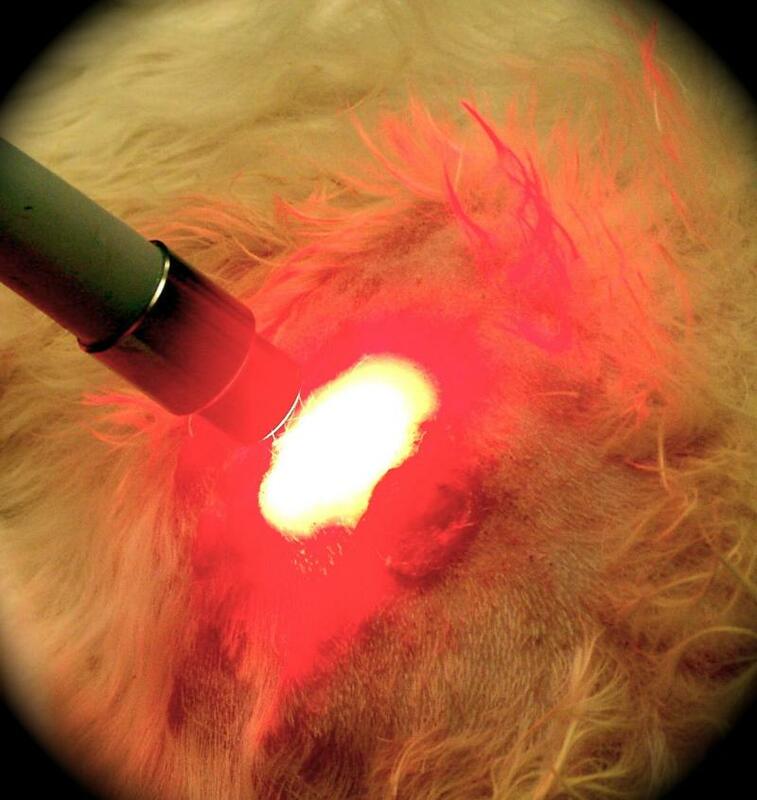 PDT is effective against many forms of skin cancer but is limited by the depth the light will penetrate. It is very useful in areas where surgery is difficult (for example around the eyes, nose and mouth). treatments and damage to the surrounding tissue is minimal. PDT is used in people with cancer of the skin, lung and esophagus. Many new 'smart' drugs are being developed for animals and people along with different ways to deliver the light to deeper, larger tumors. PDT is another option for selected patients with surface cancers when surgery, radiation and chemotherapy are not feasible.